Seek, and you shall Find !! Who gave my father his first break as a director in the film industry? How many movies did my father direct for Mohan Studios? How many movies were based on the story/screenplay written by him? Why was he known as a “hit-maker” in the film industry in the 40’s-50’s & the 60’s? Will I find any pictures of my father in the magazines at NFAI? Being the daughter of K.Amarnath, I was on a mission to find answers to all the above questions and I must say I was not disappointed. 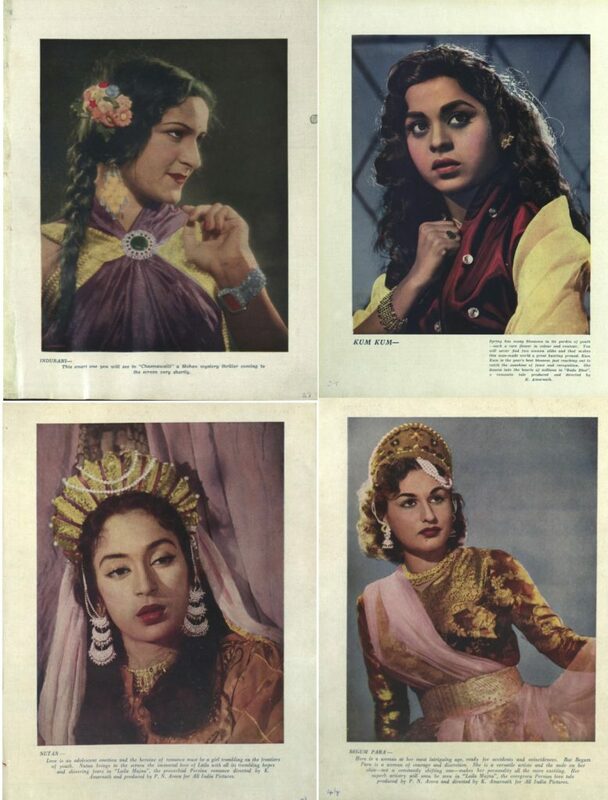 On the very first day of my visit to the NFAI-Pune in November 2017, as I was perusing through the heavily-bound tome of the 1936 volume of “Filmindia” magazine, I was absolutely thrilled to find the answer to my first question in the May issue of Filmindia. 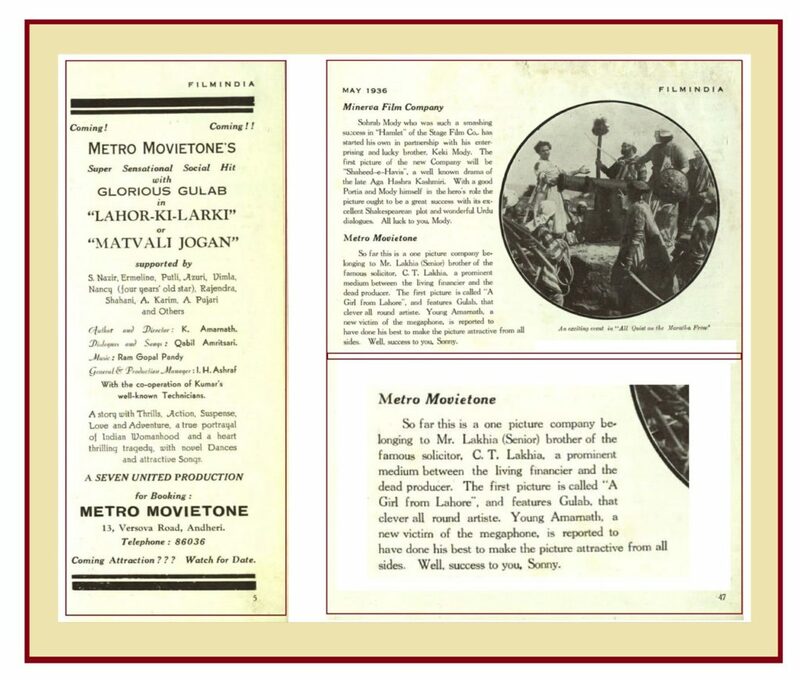 Mr. Lakhia of Metro Movietone was the producer who had given my father his first break. 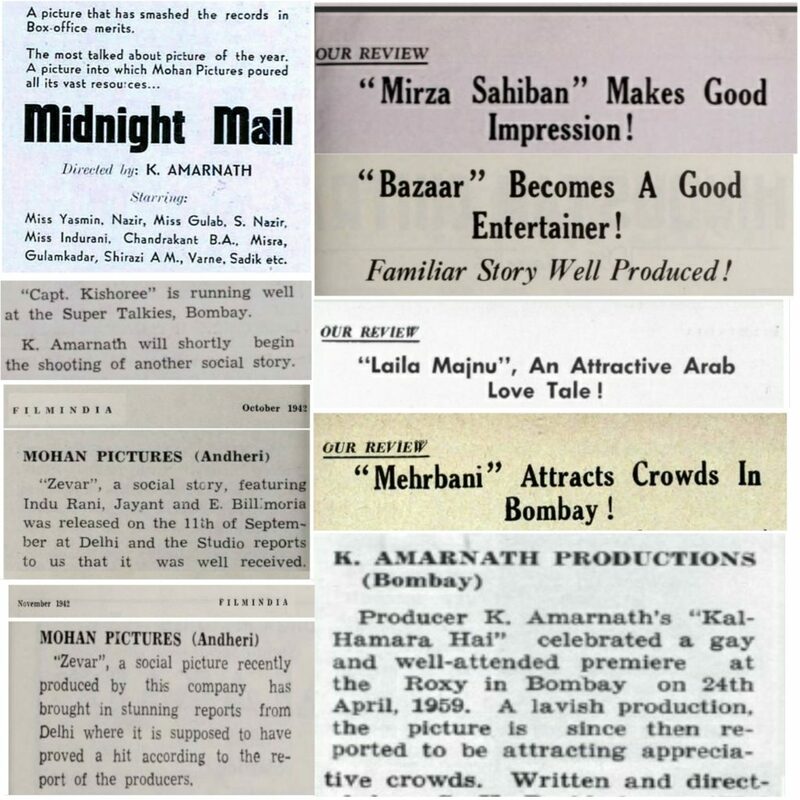 My father who was only 21 years old, was not only the director but also the author of their first movie “Matwali Jogan”- “A Girl from Lahore” released in 1936. From 1937 to 1951, he directed 15 movies for Ramniklal & Mohanlal Shah, founders of Mohan Studios. He penned the story/screenplay for over 17 of the movies he had directed. My late brother, Satish, who had helped me in getting started on my Tribute in 2013, told me that our dad was called a “hit-maker”, “hard worker”, “fastest director”, who had also “broken all records by completing Laila-Majnu (1953) within two and a half months”…..etc. I took his word for it but needed some proof. For that my brother told me, I would have to go the archives in Pune. Nearly five years later, I finally got the opportunity to visit the archives in November 2017. I had imagined it to be a dusty and dark place with volumes of old books and magazines stacked all over the place, but I was pleasantly surprised. The archive is housed in a charming English-styled country manor with a beautiful lawn and garden in front. I felt as though I had entered the 20’s and 30’s era. As my husband, Arun, and I entered to register ourselves at the reception, we saw that there was a lot of construction and renovation work in progress. We climbed up the stairs gingerly to the Library on the first floor. Had we visited the Archives at a wrong time? We were a bit confused – we didn’t know what to expect. The computer system was also not available as it was being upgraded. But all this setback didn’t deter us. Instead of going through the digital images and documents on the computer, we got the opportunity to go through the tangible, physical volumes in the Library, some of them over 80 years old. 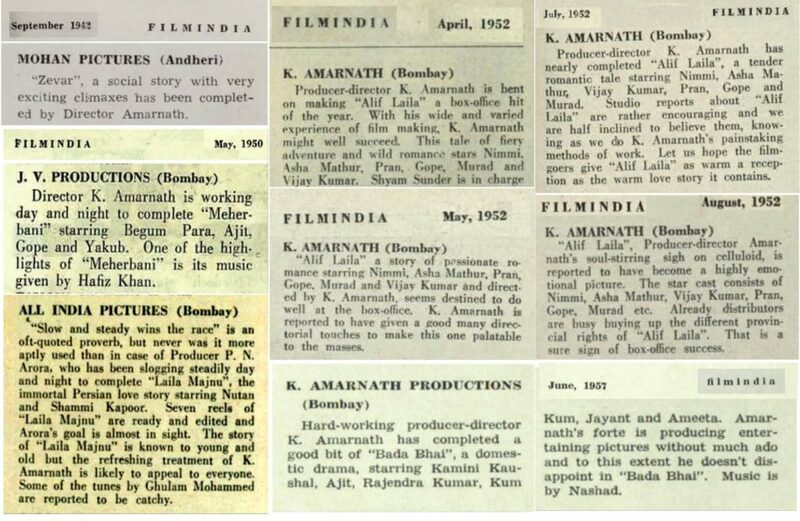 It was a magical feeling, touching and turning the pages of Indian film history. 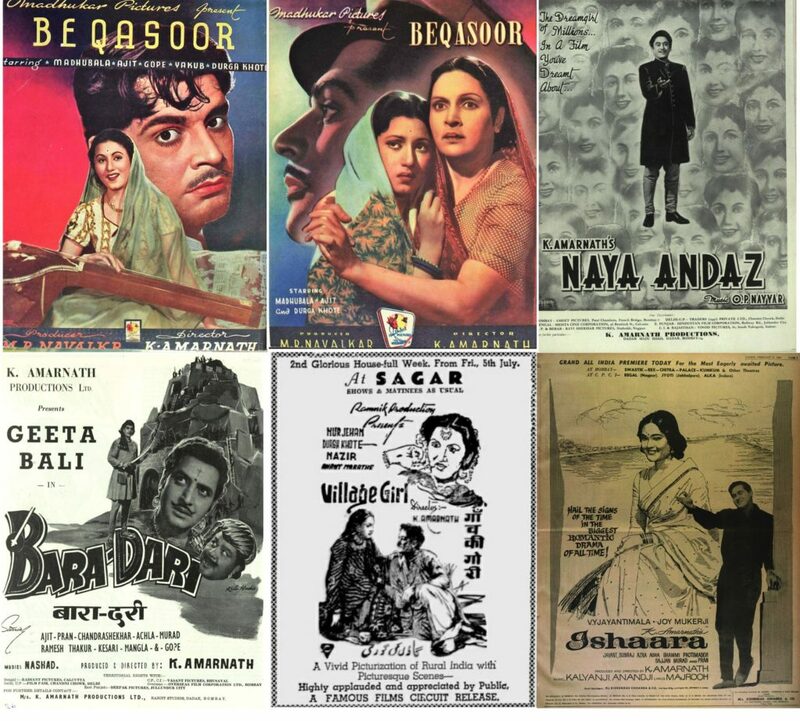 We discovered more than what we were looking for – lovely posters and pictures from my dad’s movies, write-ups, reviews etc. 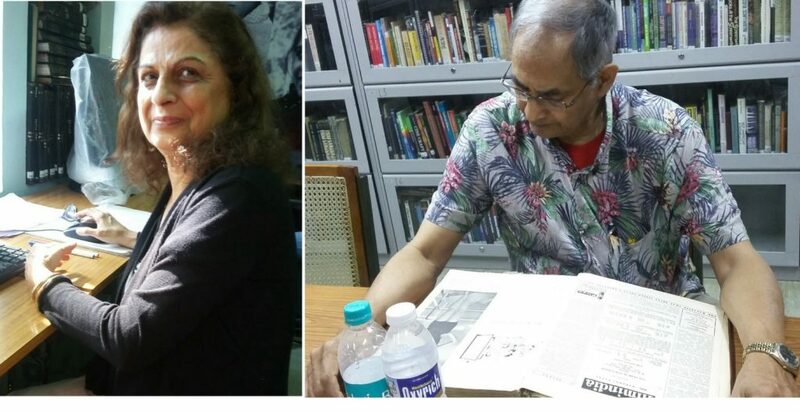 In fact, Arun also got side-tracked into reading some of the witty, tongue-in-cheek articles by Baburao Patel, the famous, hard-to-please editor of Filmindia. 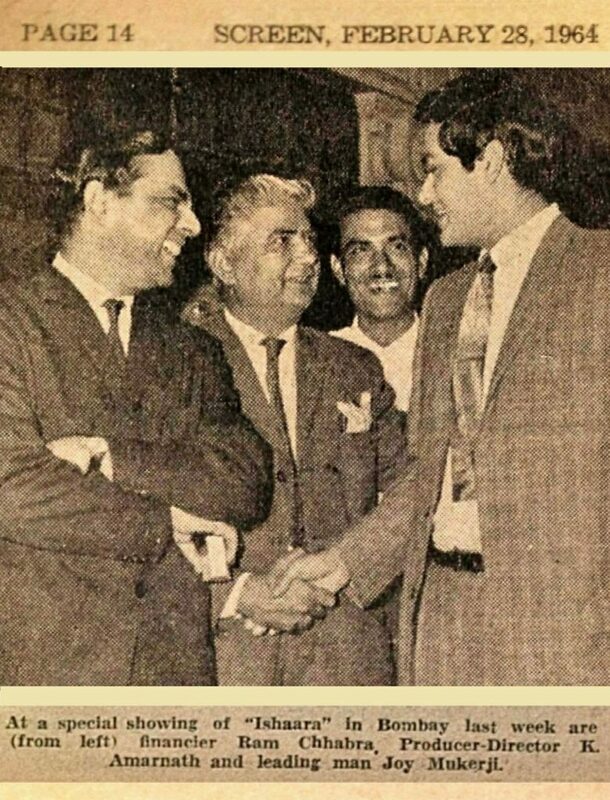 I deduced from the write-ups in Filmindia how my dad came to be called a “hit-maker” in the film industry – he worked very hard, was very disciplined and had very strong work ethics. His serious commitment and dedication, pains-taking methods and love of serious work, wide and varied experience of film-making and many other commendable qualities helped him make one hit after another making him one of the highest paid directors of his time. I was very eager to go through the weekly film newspaper called “Screen” since I remembered reading some articles and seeing some of my father’s movies advertised in that paper about 50 years ago. Unfortunately, the old publications of Screen had not survived the test of time. Mr. Prakash Magdum, Director of NFAI, was very kind and helpful. He requested his administrative staff to give me access to the Screen’s digital copies on their mainframe. As I was going through the old issues on the computer, I found what I was looking for and much more. My father was a very private person, and since he rarely attended any film functions, it would be absolutely impossible for me to find any picture of him in the magazines. 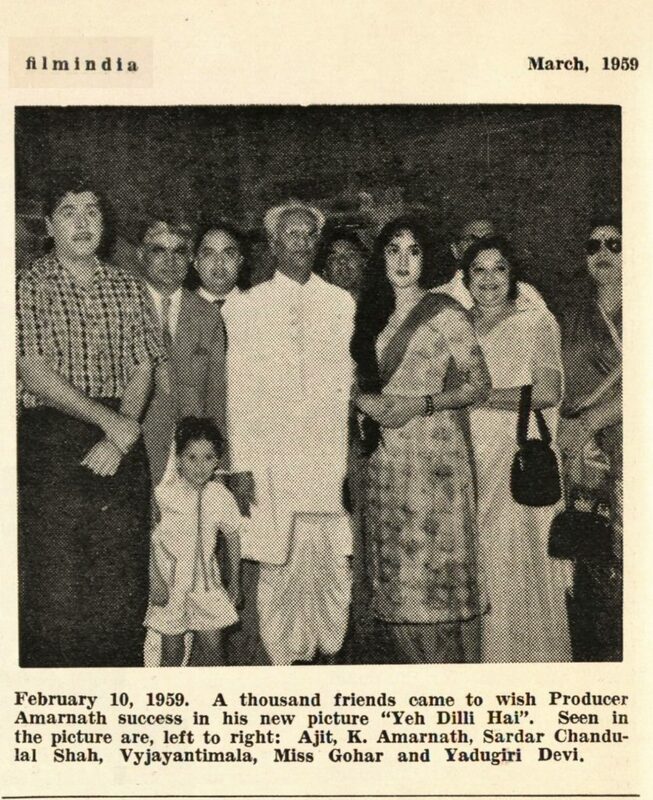 So when I saw a picture of him at a special showing of his movie “Ishaara” in the February 1964 issue of “Screen”, I couldn’t believe my eyes!! My sincerest thanks to Mr. Magdum, and all his staff in the Library and Administrative Department for all their assistance. The renovations seem to have been completed and it looks amazing – an absolute state-of-the-art facility. As I told Mr. Magdum, the archive is like a gold mine, a treasure trove !! Four days were not enough for my research. I will have to visit the archives again. There is a myriad of information still to be discovered. My dad, who was one of the earliest filmmakers of Indian cinema talkies, will not be forgotten – thanks to the careful preservation of film magazines and movies in the National Film Archive of India, Pune. 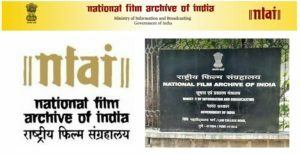 Dec 1/2018 – All K.Amarnath movies updated as per information retrieved from NFAI – Please check the “MOVIES” post.